An American writer, essayist and commentator. 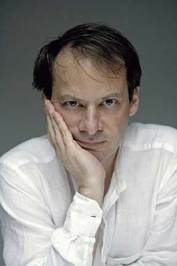 He is best known as a staff writer for The New Yorker—to which he has contributed non-fiction, fiction, memoir and criticism—and as the author of the essay collection Paris to the Moon, an account of the half-decade that Gopnik, wife Martha, and son Luke spent in the capital of France. Is this you? Let us know. If not, help out and invite Adam to Goodreads.